Active voice sentences are preferable in writing because they are clear, concise and to the point, and their meaning can be easily understood. 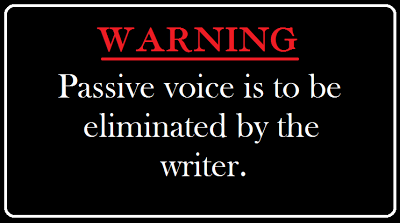 Active voice also makes your writing stronger, and takes responsibility for what you’re saying. Passive voice, on the other hand, is less direct and non-committal. You often see politicians and government workers using passive voice. What if you received a letter that began with: “It is our deepest regret to learn that you have been dissatisfied with our hotel accommodations.” Why not just say, “I am sorry that you weren’t completely satisfied with your stay. Let’s see what we can do to make things better.” Which one gives you a positive reaction? Which one feels like “corporate speak” instead of real concern? Talk TO your audience with direct, easy-to-understand wording. Or consider this example in a simple email correspondence: “I was thinking about calling you” can be interpreted as a milquetoast sentence, while “I had to call you” invokes dynamism. Can you see the difference? Some of the best examples of dynamic writing are found in direct mail copy. Take a moment to open one of your letters or emails and actually read the words out loud. See if they don’t get you excited. The next time you write an email or draft a letter or brochure copy, take a few moments to review for active voice writing. Get people excited about your product, service, or YOU. It can really make a difference when it comes to making the sale. For the best copy, hiring a professional business writer. However, even if you have written your copy yourself, consider hiring a professional editor like All the Buzz to review it for strength of voice. Even the slightest tweaks can improve your copy — and your sales — exponentially.